Franco Debono said today he will not attend a meeting of the PN executive, expected to be held on Wednesday, which will discuss the current political crisis. He said there has been no contact between him and the PN since Friday - when he called from the prime minister's resignation and said he would vote against the government in a confidence vote. 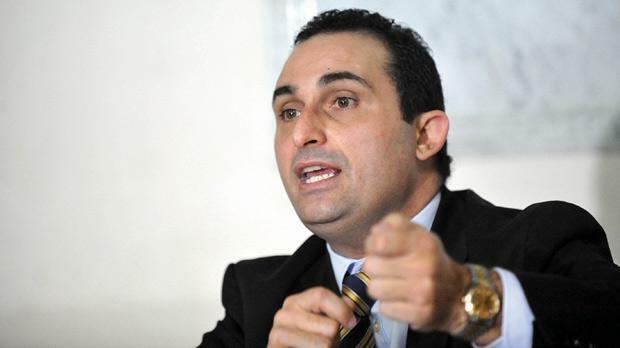 "I have resigned from the PN and I have nothing more to say to them," he told timesofmalta.com this morning. I resigned two months ago. The resignation was not accepted. With great sacrifice and loyalty I had continued to support something with which I was in disagreement. I have surely nothing to gain from this right, but I hope it will serve to strengthen democracy in the country." "Dr Gonzi is going everywhere except where he should be going - to the President to ask him to dissolve parliament. He should not have gone to Marsaxlokk yesterday but to the President. But Dr Gonzi is obsessed with retaining power." Dr Debono insisted that the current crisis between him and the prime minister would not be solved within the PN structures, as the prime minister said on Saturday. Replying to questions, the MP that he did not view this as a party issue but a constitutional issue which was for the President to decide. Following the Cabinet reshuffle on Saturday Dr Debono said he would vote against the government in a confidence vote - robbing the government of its majority. Dr Gonzi noted last Saturday that since Dr Debono was now saying that he would not work with him but would work with anyone else, this was a PN issue and would be tackled within the party structures. Contradicting a comment by a PN spokesman, Dr Debono denied that he ever withdrew his resignation from the PN. He insisted that the issue was not because he wanted to become minister - as the prime minister said. He would have refused a Cabinet post, Dr Debono said. The issue was not over who went into the Cabinet, the issue was about those who were retained, despite their failures. This was not accountability. In this context, and possibly in a reaction to what he had been saying, Dr Debono noted that the prime minister had said - just two days after the reshuffle - that Austin Gatt would be removed from the Cabinet - ostensibly to help the PN. Dr Debono hit out at the prime minister for not apologising to the people of Marsaxlokk yesterday over the power station extension. He also reiterated that the situation in PBS was now worse than it was in the 1980s at the time of Xandir Malta. The MP said he was also holding the prime minister responsible for the slurs being made against him on sections of the media, including the internet. Malta had ridiculous libel laws because the prime minister had failed to update them, he said, and he was thus an accomplice in what was happening now. The prime minister had a duty to safeguard everybody's dignity. Dr Debono expressed anger over the way his girlfriend has been brought into the issue in some comments on the blogs. "I am not married. I have a girlfriend. So what? Should one comment about a situation where someone has his wife at home while using some ministry to employ his girlfriend?" he said. "Should they rather comment on someone who leaves his wife at home and goes under the PM's nose with his girlfriend while the prime minister is preaching about strong families and against divorce?" "This, coupled with an attitude of letting people suffer uselessly for a prolonged time just to retain a grip on power is evil." Dr Debono also downplayed a petition circulating in his district, calling for his resignation from parliament. "I not not see a reason to resign. I am finding strong support from disgruntled Nationalists in my district. And bear in mind that while we are speaking about a petition, the prime minister in parliament voted in contradiction to the outcome of a nation-wide referendum. "As for Pietru Pawl Busuttil (one of the persons behind the petition)after all he went through, Mr Busuttil should have circulated a petition calling for the resignation of the responsible minister for failing to enact legislation allowing legal access to arrested persons during interrogation," Dr Debono said.